The extremely aristocratic but extremely thick Blotto and his extremely brainy sister Twinks are attending a weekend house party when the inevitable happens. 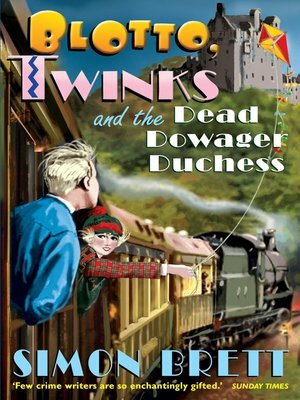 Their hostess, the Dowager Duchess of Melmont, is murdered. An amateur detective, conveniently staying for the weekend, deduces that the Lyminster family chauffeur Corky Froggett must have done it. For Blotto and Twinks, the only way to prove Corky's innocence is by finding the real perpetrator. So begins the second investigation for the daring duo... one which takes them via an opium den in Limehouse, a Scottish castle and a disused Cornish tin mine, to a thrilling final confrontation at the nerve-centre of the evil League of the Crimson Hand. Yes, Blotto and Twinks are back!